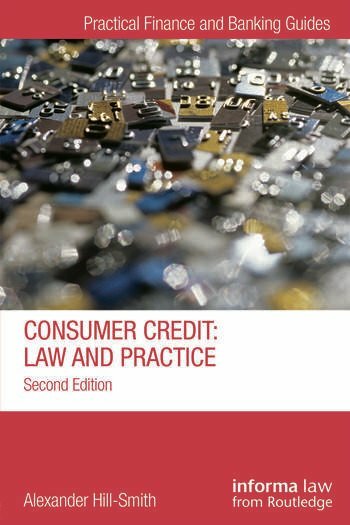 The field of consumer credit law has undergone major and fundamental change in the recent past, due in part to the regulation since 1 April 2014 of consumer credit by the Financial Conduct Authority, and this book provides a clear and complete guide to this difficult area of law. the new authorisation process under the Financial Services and Markets Act 2000, including the interim permission regime, and its consequences; the new regime for financial promotions as applied to credit and hire advertising; the new rules controlling high cost short term lending and peer to peer lending; the new provisions of the recently released Consumer Credit Sourcebook (CONC); the new requirements governing mortgage lending as contained in MCOB; the requirements for distance selling and off-premises contracts as applied to consumer credit and consumer hire including the impact of the Consumer Contracts (Information, Cancellation and Additional Charges) Regulations 2013; the jurisdiction of the financial ombudsman service on consumer credit. Also considered is the recent case law on the powerful unfair relationships jurisdiction. This comprehensive and practical guide is essential reading for legal practitioners, finance houses, credit reference agencies and retail organisations. Alexander Hill-Smith is a barrister at New Square Chambers.